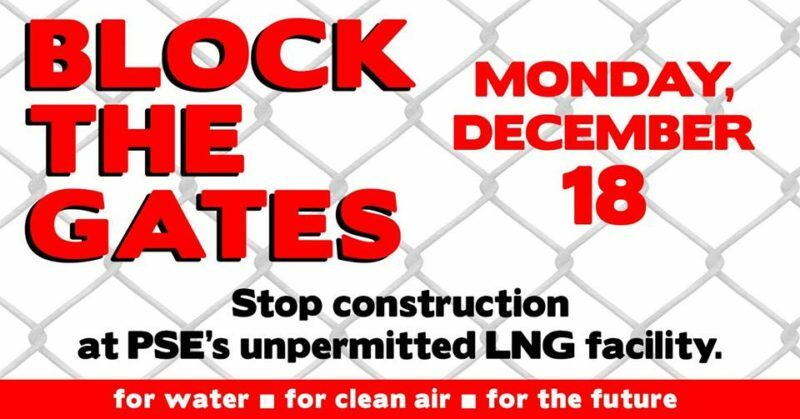 For more information on Monday’s direct action please visit the Facebook event listing for “Block the Gates”: https://www.facebook.com/events/766578836862331/ There will be directions posted on the event page regarding parking once those details have been solidified. Prior to the action on Monday morning, there will be an evening convergence on Sunday, December 17th, from 7pm-10pm at the Puyallup Tribal Youth Center located at 5803 N Levee Rd E, Tacoma WA 98424 to finalize preparations and go over plans. 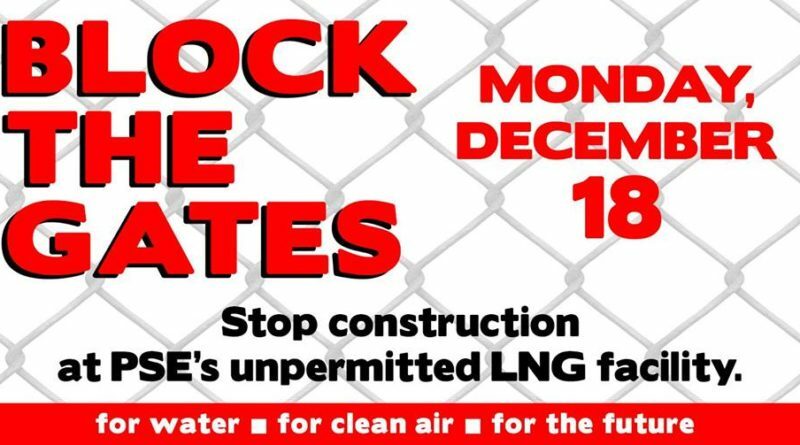 Block the Gates: Call to Action from Valerie Costa on Vimeo. Use these hashtags on social media.